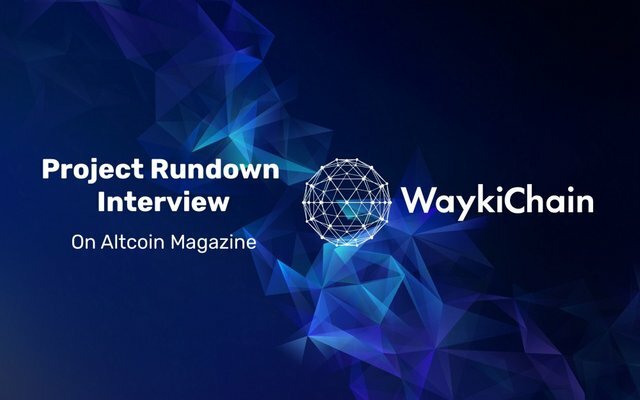 WaykiChain was interviewed by Altcoin Magazine and shared our stories, project development, vision and team. The following is the interview rundown. Hello there! Thank you for taking the time to educate us and our readers on WaykiChain. Please give us a brief introduction to WaykiChain! WaykiChain is a blockchain public chain focusing on blockchain technology development and related operations. WaykiChain has positioned itself as an infrastructure that is based on both Ethereum and Blockchain, intending to trigger a collective growth of different industries by presenting an enterprise solution. WaykiChain's first targeted market is the prediction industry. WaykiChain will take advantage of blockchain technology to solve the problems and limitations of current prediction industry. In May 2018, WaykiChain launched the first smart-contract-based game prediction DApp with over 130,000 install volume, and the DApp has been updated to V2.5. WaykiChain Token WICC has been listed on 100+ exchanges, peaking at $3. With nearly 1 million community members, WaykiChain is believed to be innovating a new business model in the new era. Tell us about your accomplishments so far, and tell us what you are most proud of having accomplished in the history of the project. The simplest way to learn about WaykiChain's accomplishments is from WaykiChain Milestones, which presents the products WaykiChain had developed, the strategic cooperation WaykiChain had reached and the large industrial events WaykiChain had attended. WaykiChain is continuously improving our products, gaining its power and contributing to the development of blockchain. WaykiBet 1.0, launched on May 13, 2018, is the first ever prediction DApp based on a public chain. What is the most noticeable thing about your project? It can be something you developed or something you achieved. Firstly, we launched two Dapps based on WaykiChain's public chain. WaykiBet is the first smart-contract-based game prediction DApp and it was launched in May with over 130,000 install volume. WaykiChain- powered DApp can be essentially the bridge of trust for any two parties who are strange to each other and guarantees the completion of the transaction based on the purpose-built smart contracts, without relying on a central authority for making judgment in the games, hence ensuring the openness and safety of the game transactions for each party involved. WaykiChain DApp has since been updated to version 2.5. The other one is WaykiTimes, mainly designed for WaykiChain and cryptocurrency investors, developers and business partners. In addition to its wallet function, WaykiTimes has also added news and community modules. WaykiTimes is the one and only official platform for you to get thorough information about the WaykiChain project. In WaykiTimes, you can easily get to know the latest WaykiChain updates, freely post and comment in the community, and discuss hot topics with other crypto enthusiasts. At the same time, WaykiTimes also has WICC transfer and lock functions. Secondly, we have developed and launched in September 2017 our own public chain- WaykiChain, whose transaction speed can keep above 1000+ in actual use, 30 times faster than that of Ethereum, adopting DPOS consensus mechanism. Last but not least, WaykiChain open sourced both the blockchain core software and supporting developer tools on Github since May 2018, empowering third parties to develop their applications in WaykiChain. Give us a quick rundown of the future of the project. Here is a quote of Wayki Sun, founder of Waykichain, Which perfectly indicates what the future hold for Waykichain. "Our business model is the most down-to-earth and the most likely to put into application. From the perspective of the business model and business logic, it is the easiest to realize. We are committed to creating a large-scale ecosystem." Decentralized prediction is not the core of WaykiChain, it's the entry point we take to empower the business model through market expansion. Meanwhile, WaykiChain is also targeting at the application of decentralized assets trading and decentralized foreign exchange trading. Tell us about your team please. WaykiChain, a team focused on blockchain industry's foundation and application development, now consisting of nearly 70 people, with relevant experience in marketing, business, betting, lottery, betting and crypto industries. Our core members ever served in world-renowned companies such as Alibaba, Tencent, Morgan Stanley, and Intel, is hoping to ultimately achieve an ecosystem that everyone can participate in the building and share the results. Our team is working together to build a decentralized, community self-governance big platform and big ecosystem. One of the earliest digital currency investors and entrepreneurs in China. 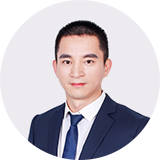 The founder of Xinhuo Network, the founder of Ou Lu Zhong Chou and the Managing Director of Jufeng Digital Asset Management Co., Ltd. Sun led an investment team of hundreds of people with great achievements made in stock, foreign exchange, futures, and digital currency markets. 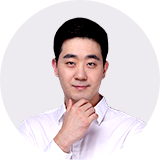 Master of Columbia University, ex-Lead Data Scientist in Wall Street, ex-Senior Data Analyst of Alibaba Group, a senior member of Mensa International Club. 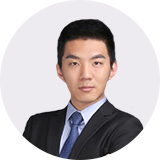 He is responsible for offering support to WaykiChain's commercial model designing and strategy planning, building up a digitalized monitor system for products and operation and promoting WaykiChain overseas with his international background. Tsinghua MBA, former Senior Product Manager of Tencent. Xi Zhang has been engaged in the Internet industry for 14 years with several entrepreneurial experiences. In 2008, he joined aibo123.com as Product Director, responsible for the product design and operation of Olympics lottery. In 2014, he started his own business and founded QiuShang APP, the first prediction APP in China applying big data prediction with 8% return rate and 67% win rate. In 2016, as a partner, he joined the Haiqiu Technology founded by famous football player Sun Jihai, responsible for the Miaohai business unit. He was fully responsible for the products, technology, operations, and marketing of Miaohai sports short video APP. The total downloads of Miaohai APP were 6 million and daily active users were 1 million. Master of Computer Science from the National University of Singapore and Bachelor of Communication Engineering from Shanghai Jiao Tong University. 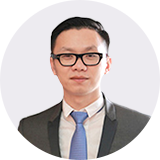 Richard worked for Alibaba and was responsible for the internal and external information security system construction of the entire group's Customer Service Department. Prior to this, Richard also served as Senior Vice President for the worlds top investment bank Morgan Stanley for 3 years and Intel Chief Architect for 8 years. Richard has received four US patents and won Intel Achievement Award (IAA). Richard has published several global patents in encryption technology, distributed network communication and collaboration, and big data. What partnerships have you formed so far, and what kind of partnerships are you seeking for the future? WaykiChain's token WICC got listed in over 100 exchanges, including Huobi Pro, ABCC, Lank and so on. In addition, WaykiChain realized the strategic cooperation with FansTime, a project using blockchain to build a new decentralized community to discover, explore, foster, and respond to the values of the individual IPs. WaykiChain & Chinese Academy of International Trade Economic Cooperation (CAITEC) reach strategic cooperation on "Blockchain and Credit Economy". With the mission of making blockchain prediction predominant, we are seeking partners who've been in the prediction market or interested in changing the centralized status with Waykichain and blockchain technology. What kind of marketing do you practice to let the world know about your project, your product, and your mission? Do you attend any events or conferences? Our ultimate marketing strategy is technology and product. Waykichain believes that no matter bear market or bull market, the one who seizes the key technology laughs to the end. What is the best article that has been written about your project so far? I think "Everything you need to know about WaykiChain" is a very instructive summary about WaykiChain for people who are interested in this project, regardless of their backgrounds. The article can direct you to the explanation of key concepts about our project and make you understand easily what WaykiChain develops, how it works and what vision it harbors. How can we stay up to date with WaykiChain and support your project? If you wish to know more about WaykiChain, then visit our website. To join our community, chat with friends who focus on blockchain and our token WICC worldwide, you can enter our English Telegram. WaykiChain also updates our project progresses, product reports, and the latest news on Facebook and Twitter. We also have a YouTube channel to introduce WaykiChain with very concise but informative videos in a more visual way. Chinese WeChat group: add CS account "wicc1000USDT"
Welcome feedback from the community, so please do get in touch. Don’t forget to leave a clap after your reading. Yes, the article is the cooperation result of WaykiChain&Altcoin Magazine. Now both sides release the article on different channels. Okay, I have banned @waykichain.